It’s obviously never easy to get fired. What’s even more difficult is not being bitter after it happens. Speaking from experience, there have been more than one "I’ll show you!" rants from yours truly after several minimum-wage gigs ended in an ignominious manner. 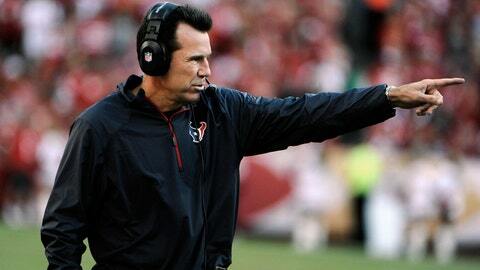 Well, Gary Kubiak isn’t that type of guy. He’s classy, even in defeat. In case you can’t make out the words, here is what he said. 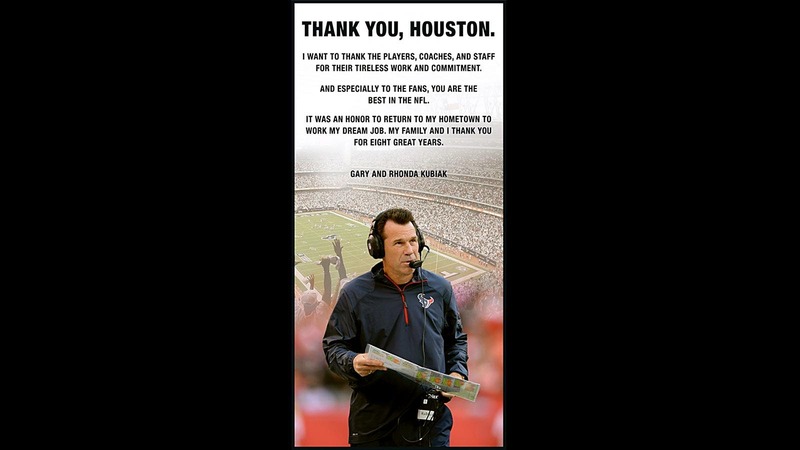 "Thank you, Houston. I want to thank the players, the coaches, and staff for their tireless work and commitment. And especially to the fans, you are the best in the NFL. It was an honor to return to my hometown to work my dream job. My family and I thank you for eight great years."